The new bikes take on Seattle. Neon green bikes, toting the lime logo, are a common sight on Seattle streets as the weather begins to warm up. The California based bike-sharing company, Lime Bike, was founded in January of 2017 by Toby Sun and Brad Bao. The brand was one of the first to utilize a dockless system, allowing the bikes to be parked anywhere. There are currently about four thousand bikes in Seattle, and the average riding distance is one mile, as disclosed in Lime Bikes 2017 year report. Most of these rides occur during the morning and afternoon rush hours. Two different types of bikes are offered; electric and analog. Electric bikes cost one dollar to unlock and fifteen cents per minute to ride, with the electric assist kicking in depending on your pedaling speed; the slower you peddle the more motor assistance you will get. Analog bikes cost one dollar for every half hour of ride time, dropping to fifty cents for every half hour for students, staff, and faculty with an email address ending in “.edu”. 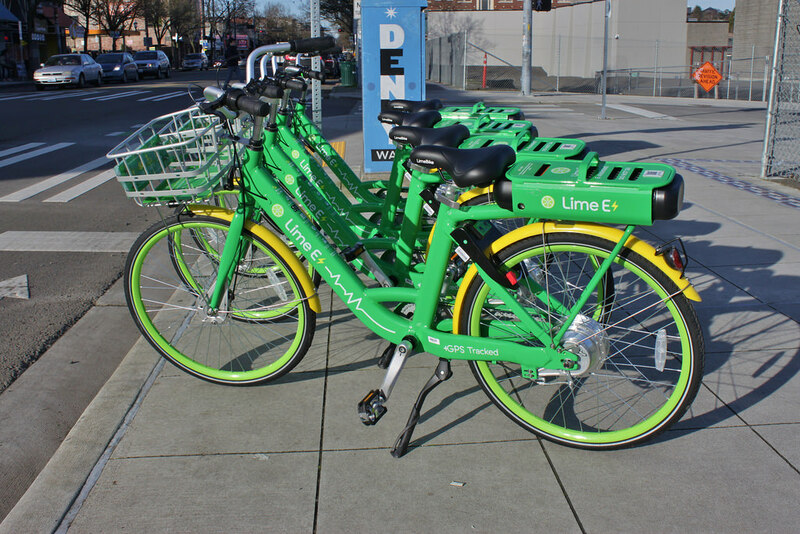 To find a bike and pay, simply download the app, as credit card information must be entered.Like many high schoolers, if you don’t have a credit card or cell phone, you can visit the Lime Bike office near Gas Works Park, at 3625 Interlake Avenue North. There, you can pay in small cash amounts and leave with an unlocked bike. Then, when you want to unlock another, you can just call. Unfortunately, just as common as the bikes themselves are their riders without helmets. In King County and Seattle, bike helmets are required, something that Lime Bike does not provide with each bike. Tickets can cost up to eighty-one dollars if you are caught riding without one. There are ways to get free and reduced cost helmets. Kohl’s offers both bike and sport specific helmets for kids up to eighteen years old, through their Helmet Safety Program. Visit their website for giveaway dates as well as King County’s bi cycle and helmet safety page for an extensive list of places to get low cost helmets. The Burke Gilman, Greenlake, Washington Park Arboretum, Seward park, Magnuson park are all amazing places to bike ride and soak up the summer sun!